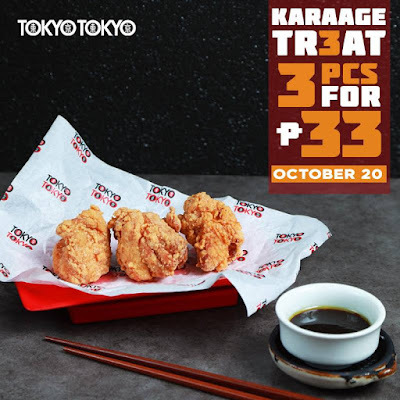 October 20 is Karaage Treat Day at Tokyo Tokyo! Treat yourself to a tasty Fried Chicken Karaage for only P33 for 3 pcs, (a P22 total savings), for one day only - October 20, 2017. Head to your favorite Tokyo Tokyo branches now!